Having captured the hearts, minds and feet of the entire world, Ubisoft’s Just Dance series remains to be hot property indeed. 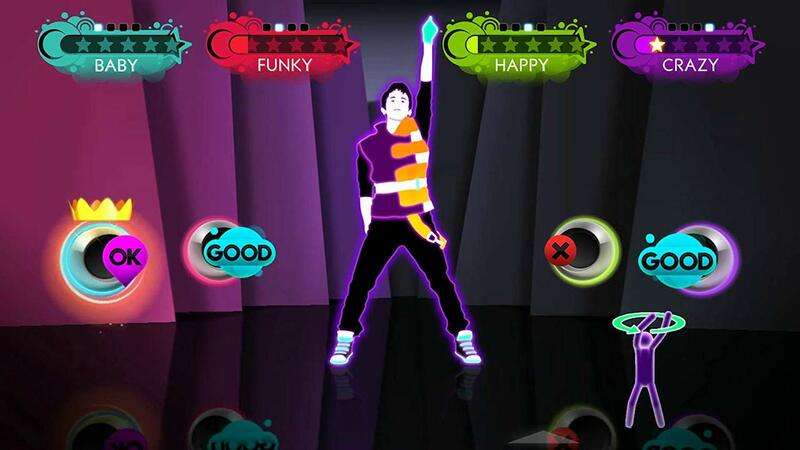 Just in August, it was announced that Just Dance 2 had surpassed the 5 million sales mark in North America alone, so it isn’t surprising that Ubisoft is to capitalise on such popularity with Just Dance 3. However, is too much of the same a good thing, or does this latest instalment prove a worthy expansion? 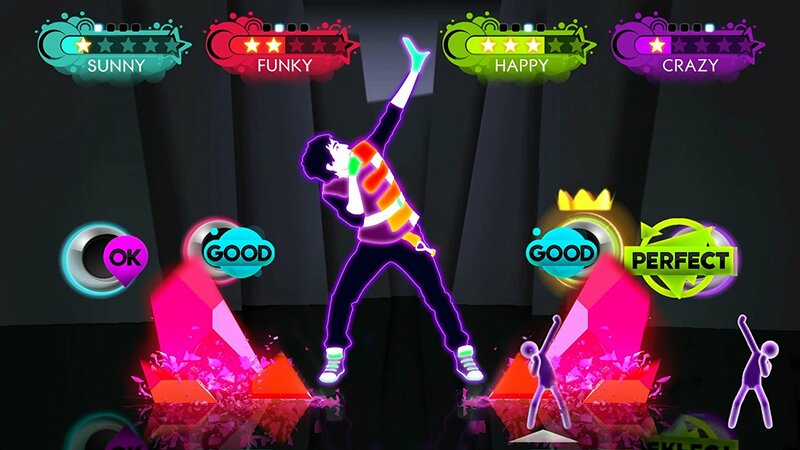 As with any music based title – be it of the karaoke, dance or rhythm persuasion – much of Just Dance 3‘s appeal lies behind its track selection, from the sickeningly sweet, colourful charm of Mika’s “Lollipop” to the dark comedy of Danny Elfman’s “This is Halloween” plucked from Nightmare Before Christmas. The robotic styling of Daft Punk’s “Da Funk” is also another highlight, yet there is literally something to cater for all tastes and your continual progression through Just Dance 3 is accompanied by a steady stream of unlockable extras to expand upon this, including new songs and modes. The game easily boasts one of the strongest track selections in comparison to its competitors this year, not to mention the fact that DLC is already becoming available, helped in no small part to the success of its predecessors. Solo play will ultimately amount to you steadily making your way through the tracklist and achieving those elusive high scores. For the uninitiated (where have you been?! 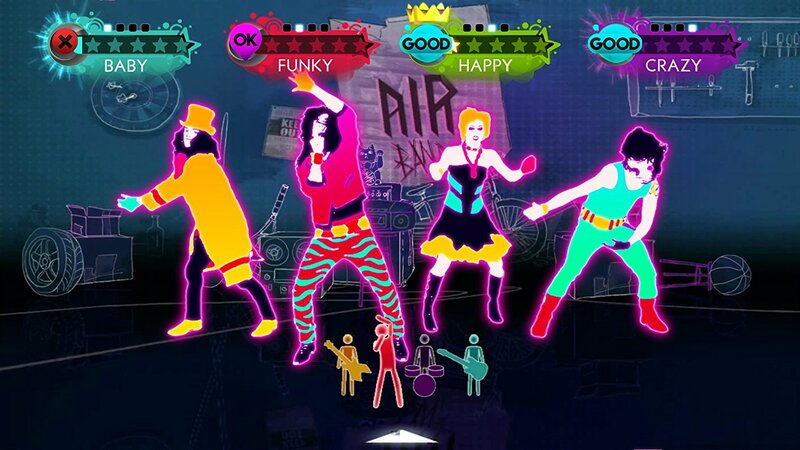 ), the core gameplay mechanic of Just Dance 3 sees players follow on-screen prompts that have been performed by professional dancers during motion capture. Accuracy and rhythm are key, rewarded by a spectacle of sounds from the Wii Remote, with those fumbling their way through the choreography quickly falling to the wayside. 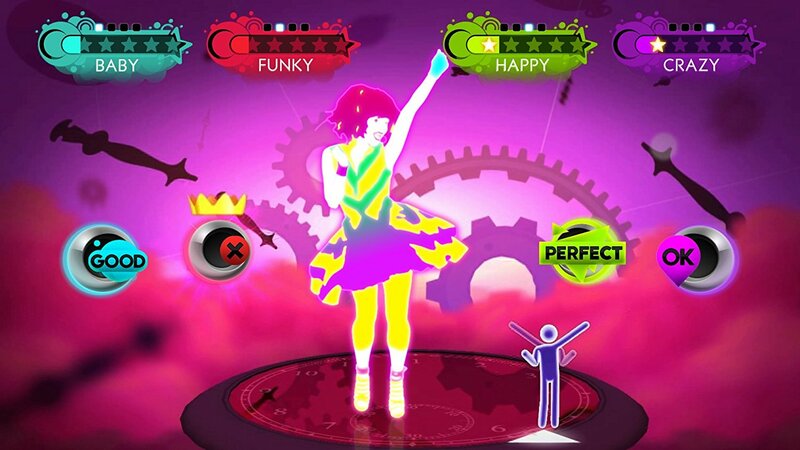 Getting friends to join you begins to open things up, adding plenty of humour to the mix in the process, and whilst it is always fun to try to beat your opponent by achieving a higher score, Just Dance 3‘s jewel in the crown easily remains to be the group based modes. Duet mode returns, yet it is the new four-player choreographies that become a stand out to this third entry in the series. Seemingly more of a co-operative affair, these, dependent on track, provides more variance with individual routines and alternating attempts in the spotlight. For those that are looking to push themselves and their dancing skills to the limits, Ubisoft has also included a ‘Just Sweat’ mode that is available to be played in either a one-off ‘Free Session’ with up to four players, or as a ‘7-Day Challenge’ for a single person. The latter is a particularly noteworthy addition, encouraging players to progressively use Just Dance 3 as an exercise tool with three challenges of increasing intensity included that is explained to be the equivalent of walking, running or swimming for thirty minutes per day. You’ll perform individual songs to achieve ‘Sweat Points’ that accumulate towards an overall daily goal – the most gruelling seeing you need to reach 3000 Sweat Points a day, with each song averaging at around 250 each. It’s not only an approachable way of performing an, admittedly simple, exercise regime but also grants the perfect excuse to constructively work your way through the extensive track selection available. Whilst not to everyone’s tastes, it can’t be denied that Ubisoft has managed to find and engage a particularly broad audience for their hit series. Just Dance 3 continues to define the formula of this success, pulling and tweaking it in places in an effort to perfect it further. In that regard, it succeeds and remains to be the party title of the year.